Rev. Charles Kenzie Steele, Sr. was a co-founder of the SCLC. In 1956 he lead a bus boycott in Tallahassee that was as successful as the Montgomery bus boycott lead by Martin Luther King, Jr. the previous year. Rev. and Mrs. King came to Tallahassee to help. Later, the Southern Christian Leadership Conference was organized. Rev. Steele was a founding member and BOD member until his passing in 1980. The various board members were preachers and held their board meetings at each other’s churches. Their occasional appearances in Tallahassee allowed me the opportunity to hear them speak and pose them for portraits. 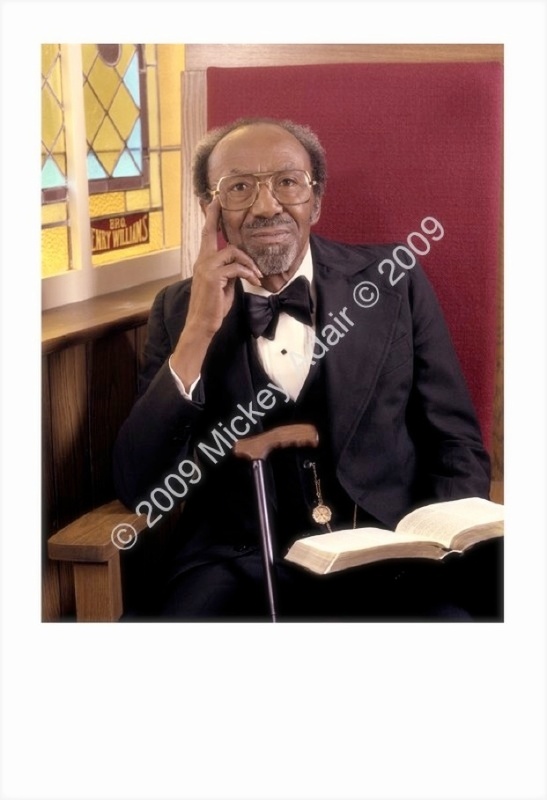 Here he is posed in his Bethel Missionary Baptist Church in 1979. Rev. Steele was highly revered here and in the civil rights community. The proceedings commemorating his passing required three days. The funeral lasted ten hours and was broadcast live on television. It was the first time I saw a satellite truck.